Got marathon training questions? I’ve got them answered! Read on for some silly — and some serious! — marathon training questions and advice. I’m in several marathon training groups on Facebook. There are runners of all types in these groups: walkers, run/walkers, brand new runners, veteran runners, old runners, and young runners. There are BQ runners and back-of-the-packers. And there are those who prefer downing a GU and some water, and some who prefer chewing real food as fuel. Inevitably, with all these different people and all these different life experiences, there are some pretty awesome questions that come out of these groups through any given training cycle. 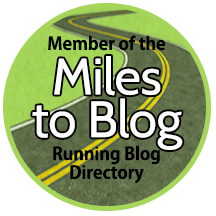 Today I’m sharing with you some of the better marathon training questions that are asked quite frequently in my groups. Not only the better questions, though. I’m including some of the more ridiculous ones, too. In most cases I would chalk some of the more nonsensical questions up the taper crazies. But given when these questions have been asked during any given training, there’s no way these can be attributed to the taper crazies. You’ll see what I mean! Not only am I sharing the questions, both serious and silly, I’m going to answer them, too. Just in case YOU have marathon training questions — and may have been afraid to ask! Please note that this post is all in good fun. No personal digs here! Please don’t be offended if you’ve ever asked one of these questions before. We all have! I see this question a lot. As in, all-the-time a lot. And there are really only so many ways it can be answered! Here’s the legit, straight answer once and for all. Tailwind is a powder that is mixed with water to create complete energy, electrolytes, and hydration. It has enough calories to fuel you for endurance racing and electrolytes to replace your salt lost through sweat. It’s wheat-, gluten-, soy-, and dairy-free. Additionally, Tailwind is 100% natural meaning it doesn’t contain any artificial flavoring, coloring, or preservatives. If you want to learn more about Tailwind, check it out here. To purchase Tailwind, check out their website or find it on Amazon here. I see a lot of chatter about PayDay as fuel. Should I use that instead of gels or chews? I recently blogged about how PayDays are one of my favorite fuels to use during marathon training. I was turned on to using PayDay a few years ago by my friend, Carole. She’s an ultra runner and swears by them. To be transparent, I’m not a huge fan of peanuts. I actually really don’t like them at all. But sometimes in the later miles of long runs or during marathons, overly sweet fuels just don’t cut it. Gels tend to create gut bombs in my belly (the kind Tailwind was created to avoid, by the way). PayDays are a little salty, a little sweet, and they’re real food so they don’t “sit” in my belly and make me feel uncomfortable. So yes, people do actually use PayDay candy as fuel. Should you use it? I would say it depends on how far into training you are. If you have enough long runs left to test it out and see how it works for you, go for it. This is my first marathon. Why do my toes/toenails hurt? A few things could be going on when you ask this question, but more than likely you need to size up in your shoes. My first marathon left my feet mangled and angry. I lost a toenail, suffered black bruises under my big toes, and frankly my feet haven’t been the same since — all because my shoes were too small for the rigors of a marathon. Another thing to look for is perhaps a wider toe box. Your tootsies may be getting squished at the ends of your shoes because of a narrow toe box — even if you’re in the right size shoe. If you’re experiencing foot or toe pain or issues and you’re getting close to race day, you might want to find an alternative before your toes become mangled like mine. And yes, I’ll spare you the photos. Seriously, though. You shouldn’t be experiencing pain or toe issues. If you are, start with the shoes. If your feet continue to bother you after that, find a good doc or PT to help you figure out what’s up. Want to see how I fared after my first marathon? Check it out here. But beware the foot photo! While I can certainly relate to this sentiment, if it’s four weeks until race day you really should have your nutrition dialed in by now. Having said that, definitely find a fuel that works for you NOW before it gets any later in the game. And remember: nothing new on race day! Help! It’s raining, it’s cold, and I have a double digit run to do! Should I run on the treadmill? Did I mention I loathe the treadmill? It might be raining and/or cold and/or both on race day. If you dislike the treadmill so much, why would you resort to running double digits on it if it’s just raining? Treadmills are a great option but there’s no natural change in terrain, they can get monotonous (hello, dreadmill? ), and they certainly won’t simulate outdoor conditions. I personally only resort to the treadmill if it’s icy, sub-zero (Ha! Only sometimes on that one…), a torrential downpour, or otherwise unsafe to run outside. But it all comes down to personal preference. You do you! Your legs are likely cramping, burning, or in pain because you’re trying to do too much too soon. Maybe you’re loading your miles onto weekend days and not spreading out any mid-distance runs during the week. The uncomfortable sensations you’re experiencing on the long runs is your body’s way of raising red flags that it’s not ready for this kind of load. It’s too much stress and a recipe for disaster. You have two choices: you can either spread out your runs so that the overall load is taken on over four or five days which will allow your body to adapt to the stress of training, or you can sit this race out and train better for the next one. I haven’t trained all summer for my fall marathon. Is it too late to start? Well… it depends on when your race is first. If it’s in four to six weeks there’s a good chance you might experience some pain and injury like the person in the question above. If it’s in ten to twelve weeks then you’ve got a little more time but not much. Let me ask you this: why did you wait so long to start training? Something personal? Work? Laziness? You should consider the answers to these questions to decide if marathon training is right for you at this point in time. Sometimes it’s hard to say no but sometimes it’s the best option. Do people really use pickle juice? What about beet juice? Yes, they sure do! Pickle juice is deliciously salty and a great way to replenish sodium lost through sweat. But what a lot of runners really like it for is reduction of muscle cramps. It doesn’t seem the salty brine is responsible, though. There isn’t a lot of research behind pickle juice but it seems the vinegar present may induce a reflex in the back of the throat sending a signal to the nervous system to shut the cramping down. Pickle juice works and it works fast for muscle cramping. Check out the study here. And if you’re so inclined, you can try some on your next run! As for beet juice — yes, people use beet juice. Beets are wonderful root veggies. Not only do they taste great but they’re so wonderful for calming all sorts of inflammation in the body. (Read this article for all of the amazingness of beets.) As for athletes, beetroot juice can help improve performance, increase oxygen to muscles, and help you feel more energetic. Be careful with beets, though. They’ll turn your urine (and possibly your stool) pink or red, and can cause stomach upset if you’re not used to them. Introduce them to your diet slowly. And steer clear of beets before a long run unless you know how your body reacts to them! These are just a few of the most frequently asked marathon training questions I come across on a daily basis. Marathon training is hard, no doubt, and it’s good to bounce ideas off one another. I hope this post helps answer some of the marathon training questions floating around these days! And again, this post is meant to be informative but all in good fun. No hard feelings, friends! What’s one marathon training question you come across time and again? Do you have a marathon training question not answered here? Linking up with Annmarie and Nicole for Wild Workout Wednesdays. Absolutely YES to pickle juice! There’s nothing better than it’s salty vinegar taste after a run. I can’t say I’ve ever tried it during a run. Maybe I should? I may be biased because I drank pickle juice even before it was cool…because it’s so yummy! Haha! So many questions. So many miles! One of my favorite marathons (Grand Rapids) has pickle juice stops. So fun! I have not trained for a full marathon but these are great questions and answers for half races as well. thanks! These are all great questions! It’s funny about the Tailwind–glad to see people are jumping on board. The stuff is amazing. There’s a recovery product that I use after bootcamp and it’s equally amazing. Tasty too! Oh, beet juice…I used to love it until I had a very bad reaction. I don’t know if I overdid it or what, but I had such bad stomach upset that I am forever swearing off beets. I used to love Paydays! Not vegan though, so I did create my own version with dates a couple years ago. They would probably make a good fuel. I use nuun for my electrolyte replacement and, like Tailwind, it doesn’t have any fake stuff or sugar. I love it. I don’t know if pickle juice would be my thing. On long runs my stomach (or taste buds, actually) can get quite particular. I’m a huge fan of beet juice on race day! It helps with pushing harder and doesn’t taste that bad to drink before a race. I have never tried pickle juice though, but I always crave salty things like pickles after a marathon. These are great Rachel! I’ll definitely keep the PayDay idea in mind next year when I start training.